In the introduction portion of the Creating Wealth show, Jason Hartman answers two voice mail questions left by his listeners. He then introduces Richard Vague as his guest for today’s show. 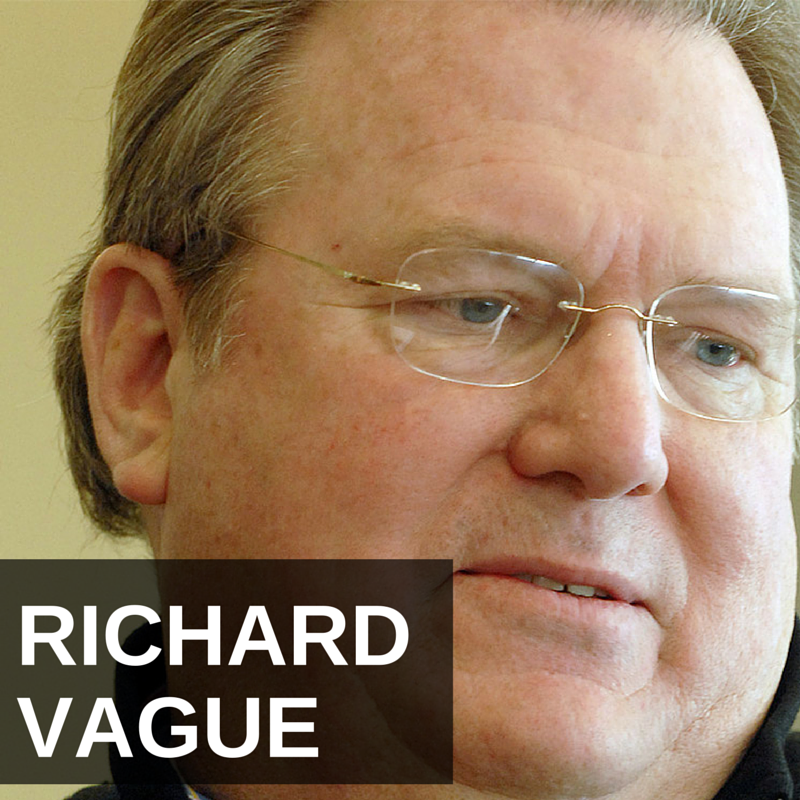 Richard Vague is one of the few economists who are currently talking about the problems of massive private debt. He is the author of The Next Economic Disaster and talks to Jason about China’s economic problem along with some interesting facts and correlations about the US economy. 8:00 – Jason talks about the 6 ways the government can get out of its mess. 11:20 – Jason answers a listener voicemail question. 18:50 – A listener asks about 3D printing a house. Jason shares his thoughts. 24:30 – Jason introduces Richard Vague to the show. 29:15 – Richard talks about China’s debt problem. 35:10 – Private debt growth leads to higher interest rates. 38:15 – Richard gets his stats by looking at all consumer and business debt. 42:30 – A lot of economists don’t include private debt in their model. 49:00 – What should we do to avoid the next economic disaster? Richard explains. 51:10 – Quick recap, what are the stages of an economic crisis? Welcome to the Creating Wealth show. This is your host Jason Hartman. This is episode 494. You know, we’re getting close to episode 500, aren’t we? 500! Wow. That’s a big deal. It’s a big deal, but it’s going to be an even bigger deal when we’re at episode 1,000 and then 1,5000 and then 2,000 and then to infinity and beyond as Buzz Lightyear would say. Well, we’ve got a good guest for you today who has got an unconventional outlook on inflation or deflation and that is Richard Vague. He is the author of The Next Economic Disaster: Why It’s Coming and How to Avoid It. His thesis is definitely not mainstream, but it’s pretty interesting and I have been thinking a lot about it. I just interviewed him a couple of days ago. That is the idea that inflation or deflation, as it were, is really determined more by private debt than government debt. Most people would say, even Milton Friedman; the famous late Milton Friedman, the economist who said, “Inflation is everywhere and always a monetary phenomenon” And by that, you know, you could interrupt that in different ways, I’m sure, and he explained it in his extensive works, which are fascinating by the way. Most people would interrupt that to say, well, it depends on the amount of currency the government creates and as the government creates more currency in order to service its debt, because it got itself into trouble by spending too much just like a drunken sailor, reminding me the Reagan quote, “To say that the government spends money like a drunken sailor is an insult to drunken sailors.” Yeah, something else, something else. Anyway, this is an interesting interview, so see what you think of it. I would love to hear some feedback on it and we really loved to get your comments. I’m really excited that people are starting to go to the website, they’re going to JasonHartman.com or even HartmanMedia.com and they are leaving us a voicemail and asking a question, making a comment, whatever it might be, so we’re going to play a couple of those listener comments here on this show, so please do that. Go to JasonHartman.com, ask a question, leave a comment, write a review on iTunes, any kind of engagement, we just love it and appreciate it, so thank you for that. As I’ve talked about many times in past episodes, the six ways that the government would get out of its mess, right, the six ways in which the government would relieve the liability its gotten itself into and, again, inflation being really a terrific business plan for government. It really is far and away, in my opinion, the best plan for them, and same is trust for central banks, but you know, most specifically governments. Governments, I mean, it’s a great deal for them, especially a government like the United States that as the reserve currency of the world and the power to maintain that reserve currency status, which I believe it will for many, many years to come regardless of what, you know, Simon Black says. I was reading one of his things today that you might know about, the Sovereign Man, Simon Black. Interesting guy for sure, but all of these people talking about everybody reading America and the dollar collapsing. They’ve just been so wrong. What can you say? The gold bugs have been so wrong, the Bitcoin people have been so wrong. Frankly, I’m just going to pat myself on the back here and brag a little bit. I’ve been more right than any of these people, for many years! Representing the best performing investment asset class in the United States, if not the entire world, and that is income property. It is amazing and now that you get to hear these Flashback Friday episodes that we’re doing. I’m really kind of putting myself on the line here, because, by the way, I don’t even listen to them. I don’t have time to listen to them. I just tell my producers, oh, I just pick one, I go back; I literally do it this way, I got to JasonHartman.com and I look through the old episodes and I say, let’s run episode number, you know, 292 again or whatever. I’m just giving out a number there. Make that the Flashback Friday episode this week, because the topic looked interesting. Of course, I can’t remember exactly what I said on that show, so I might make a fool of myself. An open mouth can gather foots. What was the saying? I just saw it? A closed mouth gathers no feet. You know, the foot in mouth, you don’t put your foot in your mouth when you say something. So, that is a risk to play Flashback Friday, but just listen to it. I mean, I remember doing some calculations during the worst time of the great recession and looking around at stock markets around the world, they’re all in just complete chaos, it was a mess, okay. Looking at gold, which was raising at the time and everybody thought oh, gold is going to be the thing, right. Bitcoin didn’t even exist yet and silver was doing crazy things too. Income property because it’s a multidimensional asset class, because it’s multidimensional, you get returns in multiple, multiple ways rather than just the simplicity of buy low, sell high or with dividend paying stocks, buy low, sell high, collect some small dividends, right, it’s the best, it was the best preforming asset class in the world then and the last few years it’s obviously been phenomenal, so the secret to income property is to stay in the game and have a sustainable investment, to stay in the game, because you never want to be forced to sell a property. You might want to choose to sell a property, if it makes sense. I have been messing around a little bit with my portfolio lately and buying and selling some stuff and doing 1031 exchanges on some things and hey, that can be a fantastic opportunity. You want to keep, you don’t want to reduce your portfolio says, maybe that’s the way I should put it, in the time of bad market and the way you do it is by buying right, okay, buying properties that make sense the day you buy them. That’s one of my 10 commandments as you know, Thou Shalt Not Gamble. That’s number 5 and managing cash flow and then also being diversified, okay, Thou Shalt Diversify, another commandment. So, very important things there. Now, with this government versus private debt thing. I also want to bring you back to many shows where I have talked about the 6 ways the government can get out of its mess, okay and one way, of course, is to default and just not keep promises, not pay social security, not pay medicare, not pay Obamacare, okay, that wouldn’t work, too harsh, politically unpopular. They could raise taxes. There’s not enough taxes to raise, okay, you can’t solve the problem raising taxes. They could have a yard sale, sell the ports to Dubai maybe, sell military equipment to Libya, etc, whatever else. Now they’re selling our drones to other countries, you know, our drone technology and our drone planes. I don’t like that idea very much, because they always end up in the wrong hands. It always happens. They could steal, they could use the military power or the economic hit men to go and take resources from other countries on the positive side. We could have technological innovation, that would be great. Technology may well rescue us. It’s a pretty amazing time to be alive as I’ve said many times before. Number six, inflate, the most likely. They will simply inflate the way out of the problem, but if they don’t, that’s okay, because we have the best yield producing asset class and in a non-inflationary. Now, what I mean by that is either stagflationary or deflationary environment, we have the best yield producing asset class and that’s income property and the fact that it’s multidimensional allows you to react to different circumstances differently and that’s one of the beauties of income property. So, as long as you don’t buy that speculative, appreciation-oriented asset class, you don’t buy that overpriced property in California or South Florida or the overpriced in the North Eastern United States. As long as you don’t do that, you can act, you can adapt to these changes in the market place, alright. So, think about that as we get to our guest today. Listener comments and a couple of announcements. We’ve got our Memphis property tour and by the way, we’re doing a member’s call to the members of Jason Hartman university. Our monthly call is tonight and, of course, it won’t be the day this podcast is released because I’m recording the day before. Join Jason Hartman university, you get way more than your money back for joining that dumb little $120 a year membership, right, it’s really cheap. Our members who are on the call tonight get the Memphis property tour for half price. So, that’s the lowest price ever for a property tour we’ve ever done, ever. I think you’d really like that. It’s not like we need to have a sale on this, okay, because it’s still early. The tour isn’t until the end of next month. We’ve already got quite good response to it, but we just announced it. We wanna give the members a nice benefit. So, remember, you get discounts on all of our events if you join. So, just go to JasonHartman.com and in the upper right hand portion of the website you can join Jason Hartman university. You can become a member. It’s a measly $120 bucks a year. You’ll love it. Also, thank you for the latest reviews, you know, I don’t have them handy, I want to read them out in the air here. We have been getting some very nice review on podcast, on iTunes, SoundCloud, and Stitcher Radio, so we very much appreciate that. Thank you for the reviews. If you haven’t written one for us, please do. It’ll only take you a moment and now let’s take a couple of listener questions. Hey, Jason, it’s Jake again. I’m going to give a quick little background on me before I ask some questions. I started listening to your podcast 3 years ago when I was 25 and you really convinced me to have real estate was the way to go. Since then, I’ve purchased 4 rental properties and they’re working out really well. I’m looking to acquire professional real estate status by getting my license. I’m starting school this weekend and I saw on your profile you became an agent at the age of 19. So, I’m wondering did you work mostly with investors or owner occupants when you first started and how did you get into working with investors, because really that’s what I’d love to do, work mostly with investors, because that’s mainly where my passionate is at. I’m also wondering practices and activities, what mindset, what do you think made you such a great agent and brought massive success to you? I would appreciate your response, thanks. Okay, Jake, thank you for the question and you know what, that one is doesn’t directly to apply to the show for most people listening, so I’m going to keep the answer a little bit short. Imagine that, me with a short answer, can you imagine? So, first of all, yes, I did get my real estate license at age 19. I was in my first year of college. I started part time. I became interested in real estate investing at age 16 and I grew up kind of on the poor side, on the crappy side of town in Los Angeles, California and I did not want to be poor. I wanted to be successful. I kind of figured that out when I was about 15 years old, maybe. The first thing to being successful as an agent is, you know, to be successful at anything you gotta have full commitment and I was very much committed to finding a way to be successful. Here’ a couple of things and this will apply to anybody in any endeavor in any part of life, I think. So, the first thing I noticed when I went to work for a company called Century 21 academy. It was a real estate office, they always have a sub-name. They called this one academy, because it was at the beginning of the alphabet. You know, in those days people used the yellow pages, imagine that, or the white pages too in the phone book. I got in there and I remember looking around that office and thinking, you know, I was listening to the conversation of people, you know, agents were there smoking cigarettes, that’s when you could smoke inside, isn’t that disgusting? The office was full of smoke, totally disgusting. They were smoking cigarettes, sitting around, having coffee, they were complaining about the company wouldn’t spend enough money on marketing and advertising, they wanted to buy notepads to pass out in their farm area, farming is a think real estate agents do where they go and pick a neighborhood and call it a listing farm or they try to get listings in those neighborhoods and they’ll pass out little scratch pads and refrigerator magnets and all kinds of goodies like that. I remember hearing conversations of these agents complaining about how the broker wouldn’t spend a $180 to buy them notepads and things like that. You know, before that I worked two small businesses that my mother owned. I basically in a way I kind of managed them in a way, I guess. She paid me minimum wage to work there and one of them was a Pioneer Chicken franchise and if you don’t know what that is, it’s basically like a crappy version of Kentucky Fried Chicken, okay, not as good a franchise. This Pioneer Chicken franchise was in the really bad area of Los Angeles where the was tons of crime and gangs and it was a really crappy environment. I would work there and I remember my mother bought that franchise when I was in high school still working full time at the Leukemia Society, okay. That was her day job. She bought this franchise, she saved up money. She had to save up $100,000 cash, have debt of $100,000, and then equipment licenses for all the kitchen equipment of $75,000. That was a $275,000 investment way back then and here, these real estate agents, these dumb agents are complaining about how they can’t spend $180 on their business. I thought, what a bunch of losers these people were. My mom’s whole goal with her $275,000 franchise that she had was to earn $60,000-80,000 a year and she thought if she could save up and acquire about 3 or 5 of those business over the course of several years, she’d be doing pretty good and, you know what, you can adjust those dollars for inflation for when I was 19 years old or really I was about 17 years old I guess when she bought Pioneer Chicken, but you know, that was amazing. I thought with real estate, you could make a lot more money with very little investment. So, that made me committed to the business as an agent and I knew I wanted to be an investor and I knew the road to being an investor, in that day, because I didn’t know anything, I didn’t have any connections, there was no guru like, frankly, me to help you do it, okay. That’s what I thought I’d do. I just thought I’d learn the basics and then I tried to learn about investing and, what do you know, about 6 months later when I was 20 years old one of my clients who I sold a property to, his name was Jim Wool, he had this condo in Huntington Beach, California. He wanted to sell it. He came to me and said, “You know Jason, I didn’t like this one so much,” He brought it from me a few months earlier and he said he didn’t like it because it was a little one bedroom condo and he said, why don’t you list it for me? Let’s sell that one. He purchased several properties from me. He was a good client. I was just a kid and I said, you know, instead of selling this property for you, Jim, I wanna buy it from you. I structured the deal and I bought that and that was my first property. To answer your question about what kind of clients I worked with, you know, I basically worked with first time buyers or small investors who bought really crappy run down government repo properties. Hud and VA repos mostly in Riverside and San Bernardino counties in the inland empire area of Southern California. These houses were boarded up, they were terrible. I would literally show properties in my Volkswagen Jetta and I’d meet the person there or drive them there and I’d get out of the car and I would have a flashlight and that’s quite literally how I would show the house to them and then I’d write a bid hopefully if they wanted to make a bid on the property and if it got accepted I got a commission and that was the story, but you really asked about your real estate, Jake, as a way to become a real estate professional and just remember that will not necessarily help you that much, okay. You don’t have to get a real estate license to be a real estate professional as the IRS designates it, okay, so just understand that. It sounds like you may have listened to the recent show I did with Diane Kennedy, the CPA, there’s a lot more detail there if you have further questions you can leave another voicemail and I’ll answer those questions, okay, because it’s a long topic, but I wanted to get to your other question, which is more applicable to our listeners about investing. So, here is that question. Hey Jason, it’s Jake. I got a question for you today about 3D printing. I know in previous podcasts you’ve mentioned that you think 3D printing could possibly be a technology that could turn around the US economy, but I’m really wondering about 3D printing homes. I saw in a Business Insider article recently that a Chinese company built a home for $5,000 in one day with using a 3D printer and so I’m really wondering if that’s the case and 3D printing becomes widely available in the future what could that potentially do to the rental market then and what it could also do to the homes that we already as rentals, if they would devalue them or increase value. I’d like to just get your take on that. Thanks. Okay, so that’s a great question and it’s one I’ve been thinking a lot about. I have seen those same articles. I think I actually saw that one in Business Insider and, you know, the think about 3D printing is it cuts out, it doesn’t cut it out, but it reduces the labor cost and this is just like any technology. Every technology pretty much makes things less expensive, more efficient, better, more powerful, etc, etc. Now, these 3D printed homes that they’ve, that I’ve seen so far are really not too nice, at all. They’re definitely not as nice as the stuff you’re buying through our network and the thing to remember about 3D printing is it reduces the labor costs, but it probably doesn’t reduce the material cost. That 3D printed home in China was, it would not qualify as a very nice home. It would definitely not be one of our rentals. Look, they are a bunch of developers out there around the world and you may have seen these in your travels, I’ve certainty seen them, who are building homes and commercial properties, retail and office properties, out of shipping containers, cargo containers. Those are super cheap to build too. They are cheaper than a 3D printed home, probably. This is something that could put a downward cost on construction costs in terms of building houses, for sure. I think that’s certainty possible and that could be deflationary. However, the thing you must understand with 3D printing is it still takes materials, okay, that widget is produced from materials. Now, those materials have to come from somewhere. What are they? They are either metals, they’re plastics and petroleum products, they are concrete-type products, they’re not going to be lumber, okay, but those materials cost money, okay, so remember the 3D printing cost is really more about labor cost than it is about material cost. It still takes about, you know, somewhere in the ball park, not exactly of course, maybe a little less for 3D printed, but somewhere around the same amount of material in terms of actual materials to produce and kind of 3D printed product. Okay, there may be a little bit less waste because there’s this difference between addictive and subtractive or deductive manufacturing that 3D printing is all about. So, I don’t know, more to come, I don’t know, but look it, this does not just apply to real estate by any means. This applies to everything and so far what we have definitely discovered with technology is that the limits to human wants by many people call needs, I’m sure if you have a teenager, they need a nice new car, they don’t want one. They need it. It’s like a necessity. They need the brand new iPhone. It’s not a want, it’s a need. There’s no limit to what we will want and need. If you told me years ago that I would be carry around on my body a $700 smartphone and not worry about it getting stolen, I would have thought, you know, I would have thought, wow, that’s crazy, but now everyone is doing it, right? We all regularly carry around iPads, expensive electronics, you know, I just got back from Starbucks, I took my $3,000 laptop with me and I had my $700 iPhone, by the way, that’s the value of the phone if you don’t have a contract, so that’s the real value. The human capacity for wants is limitless, okay, so if it gets cheaper to produce houses or any kind of thing or gadget or widget with 3D printing, which it most certainty will I think, we will just want more and want something better and that’s what will keep the price up. So, I don’t know, the jury is out, we’ll see where it goes, but remember, whether we have inflation, deflation or stagnation, we have got the best performing asset class in the world by none, because every single asset class will be affected by that same technology, so let’s watch it as it goes. Okay, let’s get to our guest as he talks about government debt versus private debt. Interesting interview. I’m looking forward to seeing what you’re thinking of on this one and please go leave more comments on the voicemail at JasonHartman.com. It’s really easy to do. Here we go with our guest. It’s my pleasure to welcome Richard Vague to the show. He is the founder of two consumer banks, an energy company, and the author of The Next Economic Disaster: Why It’s Coming and How to Avoid It. In our pre-talk today just before we started the interview having him on the show, he said some fascinating things to me about Japan, China, the US, the commodities prices, oil prices, and I”m sure you’re going to like his insights as well. Richard, welcome, how are you? Fine, thank you for having me. Give our listeners a sense of geography, where are you located? Good, good stuff. The city of brotherly love. Richard, tell us a little bit about what’s going on in the world and I guess, you’re thesis is this mainly stems from China, right? Yeah, we’ve got trouble brewing in a very major way in China and our inside really comes from the fact that our 08 crisis was really a result of a very rapid runaway growth in private debt and when we dug into it we saw that was also true of Japan in 91. We all thought Japan was going to take over the world in the 80s, it was just runaway private debt. Same for the Asian crisis in 97. Frankly, same for the US 1929 stock market crash. They all had this income. So, we really ask ourselves that’s been true in the past, where do we have private debt today and in China we’ve had 12 trillion dollar growth in private debt since 08 where the economy has only grown about 4.5 trillion. We’ve got a big situation brewing. Okay, so explain to the listeners if you would, Richard, why is that the case? Making the distinction between private and government debt, you know, many people are concerned about government debt, especially in the US right now and the unfunded entitlement is coming in the future, saying that that could lead to very severe inflation. I like to get your take on whether or not you agree with that, but also make the distinction if you would between, you know, why is private debt and not government debt? Most people are talking about government debt, I think, right? Well, you’re exactly right, but I tell you, in each of these major crisis and we’ve looked at all 22 where there’s data across the globe, government debt was actually in benign or improving in the period immediately before the crisis. So, government debt is almost a contra indicator. When government debt is getting better fast, it’s often meant that a crisis was coming and the reason is runaway private debt make things really good for a few years. This is true of the United States in 05-06, you know, we thought we had found the economic miracle. Houses were being built, jobs were being created, taxes were raising, and that’s why government debt was improving. Same is true in Japan 91, Asia in 97. The reason private debt becomes a problem is really boils down to two things. First of all, you build way too much of something and secondly, you make way too many bad loans in the process of doing. In the US in 08, we built way too many houses. The amount of bad loans was about 2.5 trillion at the peak in 08, but the US banking system only has about 1.5 trillion in capital. It’s pretty clear to see that it was going to be a crisis. Okay, so one of the assumptions you have to make there is when private debt gets really high is that it’s careless debt, right, you’re saying, I mean, certainty it wasn’t the housing crisis like time around that the debt is irresponsible, but I mean it is possible that there could be a lot of debt, but it could be responsible debt, right. Maybe I’m just getting too theoretical here, but I guess it’s probably never the case. Well, we’ve looked at it pretty carefully over a whole lot of countries, in fact, we’ve looked at it exhaustively and we’ve put a threshold on it, which is to say if any five year period the growth in private debt to GDP is above 17-18%, that’s when you have a problem. If you think about it, private debt growth ought to lend to commensurate GDP growth, so private debt shouldn’t grow that much and excess the GDP. That’s the signal that it is unproductive debt. What’s going on there? Just drill down on that for us, will ya. Well, they have as I alluded to a moment ago. Since 08, which by the way was when the west collapsed there for a year or two and China prior to 08 had been living off exports to the west, but when 08 came China’s export dropped off a cliff. So, China had to do something. China had to kind of go down with the west at least for a while or keep growing and it elected to keep growing through the use of debt and since 08, they’ve grown private debt 12 trillion dollars, which is the most, frankly, by far of any country in that period of time in world history on an absolute basis and it’s in a percent of GPD. GPD for China in that period is only grown about a 3rd that much or 4-4.5 trillion. What China has been is building and manufacturing a lot of everything. Most notably houses and you hear a lot about the ghost cities in China. These are cities that have, the no-vote cities that have hundreds of thousands of condominiums and office buildings that are empty. One thing I do want to say about that is I’ve talked about that many times on the show in the past and, you know, I had a couple of guests, they kind of gave China a little bit of a pass on that saying that, you know, in the west when you think of a finished house. It’s finished, you know, it’s got a certificate of occupancy. In China, they don’t actually finish the units and people come and, you know, put their cabinets in and their plumbing in and all that kind of stuff, so it’s just really a shell as if that’s, you know, a lesser issue, and probably it is a lesser issue, but it’s still an issue, none the less, right? Well, there’s 49 million homes in China that are owned, but not occupied. By your limo driver or the hotel manager or – it’s been a form of savings in China. The real estate has gone up since the Deng Xiaoping era, since the post-Mao era, real estate has gone up for 40 years now. So, people assumed that if I buy a house that’s, it’s going to be worth more in a few years. Yeah, it’s the greater fool theory, no matter how much I pay, some greater fool will come along and pay more, right? We’ve certainty seen that in the US in cycles. If there was that much analysis in it at all, frankly, and no housing prices are declining. So, there’s 49 million empty, but owned houses. There’s another 4 million, but built unsold houses. So, it’s a big problem and the level of finish in the houses is somewhat immaterial. Right, yeah, very interesting. Alright, so everybody talks about Japan’s debt lately and I had a guy on my show that was saying short Japan debt and I assume he was talking about public debt. He just said Japan is going to default, there’s no question about it. Japan debt will default. What’s your take on Japan? Well, Japan fits this paradigm exactly. The same paradigm that happened in the US in 08 and China that is happening now, happened to Japan in 91. At that point in time there private debt to GDP in 5 years had grown 29%. Remember, my threshold was like 17-18%, so they got up to 220% private debt to GDP. Far above where we are. At that time their public debt to GDP was only about 60% and things came crashing down, because they built way too many office buildings, etc, etc. Their stock market and real estate markets collapsed. Since that time in trying to prop up their economy, now that’s been 24 years since that time. In that 24 years, they’ve grown about 0% per annum for the entire 24 years. Their public debt has gone from 60% of GDP to 240% of GDP. So, it is a massive issue. Private debt, however, is still high in Japan. It’s come down from 220% to 180% to GDP. So, it’s come down some, but it’s still by historical stand point very high, so Japan is kind of got a double negative going. Way too much private debt, why too much public debt. They are really an outlier in the world today, but one thing I would say to your friend is China prints its own currency and most of its debt is in Yen. So, a sovereign entity can pay off its debt by printing new money. So, I’m not sure that I buy, at least in any near-term time frame, a default. But do you buy inflation? It seems like Japan has been trying to get inflation for two decades and they can’t make it happen. I have a very strong belief about this. I’ve been trying to correlate inflation to government debt, it’s simply doesn’t correlate if you look at the broad sets of data. Private debt, interest rates are more responsive to trends in private debt. The higher private debt growth, the more likely it is that you have high interest rates and the softer private loan growth, the more likely you are to have low interest rates and frankly that statement goes for inflation as well. They all three correlate and in China you kind of don’t have loan growth. So, I don’t see any near term and by near term I probably mean, you know, five years or more any real meaningful upper pressure on inflation or interest rates or private loan growth in Japan. So, it’s private debt that’s the issue, so then what is your prediction for the US in terms of inflation versus deflation? You know, we have more loan growth and GDP growth that just about anybody in the world right now and that’s not saying much. It’s like being the tallest midget. We’re growing in this 2-3% range and I see US growth continuing to lead the world or leading the world over the next 20-30 years, but it’s going to be relatively modest growth. It’s going to be kind of side ways. It’s going to be better in Europe zero and Japan zero. I think China’s growth is going to plummet to near zero. The US will look better than others, but it will be pretty tepid. So, that’s the growth question. Is that inflation or deflation or just stable? That’s a low level of inflation, which is kind of where it is now. It just seems logical though that governments, I mean, well, say politicians really first and then governments as a whole, but politicians love to make promises to voters that they know they can’t really keep in real dollar terms, so they make the promise, they grow the size of government. Government gets bigger, gets bloated, it spends more money, it goes into debt, and then the answer, the way out of that debt, the really the best business plan for government is to inflate your way out of the debt and when you’re in an awesome position as the US is, as my contention, you know with the reserve currency and the biggest military the human race has ever known to keep it that way and of course the biggest economy too, I mean, it seems like such a convenient plan, why doesn’t massive amount of government debt, massive amount of entitlement programs in your eyes lead to inflation. I mean, you gotta pay for all of this stuff, so the way you pay for it is by devaluing the dollar or whatever the currency you’re talking about whether it be Zimbabwe, you know. Yeah, but if that were true, Japan would be experiencing inflation, Europe would be experiencing inflation. That formula just doesn’t work. In the past when we’ve seen inflation it’s been a function of high-population growth or a high private debt growth. So, where is the US on the private spectrum now and by the way what is the best way to look at private debt, to analyze it. You know, maybe the best website. Are you talking about all types of private debt or you’re looking at it at housing or student loan debt. I mean, there’s huge private debt. We look at all – because our statistic is all consumer and all business debt and the feds z1 report has this a reported beautifully and reported regularly. So, it’s a little harder to get some other parts of the world. We have all this kind of neatly mapped out in our website, which is debt-economics.org, but where we are is, in the US, business plus consumer and by the way, the way it breaks down, we have about 25 trillion dollars in private debt versus about 17 trillion in government debt and our private debt is about 13 trillion consumer, about 12 trillion business. On the consumer side, it’s 9.5 to 10 trillion mortgage and only 3 and change trillion in other forms of consumer debt. Hang on one second though. That’s really interesting because just over a trillion of that is student debt loan, so you’re saying there’s 3 trillion total. So, 1/3rd of all that other debt after you take away mortgages and business debt is literally student loan debt. That’s staggering. That is unbelievable. Wow and not discharge-able in bankruptcy, by the way. You only loan debt that isn’t, but go ahead with what you’re saying. you’re exactly about – Now, I’ve put a little different spin on it. It’s certainty a 3rd of the unsecured consumer debt, but it’s only one out of 25 trillion dollars in private debt, so in terms of it resulting in any kind of systemic prices in the US, that’s not going to happen. It’ll certainty cause a lot of pain for a lot of folks that have borrowed to go to school. You were analyzing the US private debt picture and I’m just trying to get to what does that mean to us. Well, we have such an overhang, you know, depending in context, in the 1950, private debt to GDP in the United States was 50%. Today it’s almost 150%. So, it is tripled in my lifetime, frankly, and that high level just dampens economic growth. You have consumers that are still largely over leveraged, you have businesses that are still largely over leveraged, and that makes both consumers in businesses less able to spend and invest, because they’re having to service debt. That is a key thing to note when you’re looking at the economy. To put it in more specific terms, in the US there’s about 52 million mortgage, 9 million of those 52 million mortgages are still underwater. Those are consumers with a $300,000 house and a $400,000 mortgage on that house. That’s a big part of kind of what makes our economic growth so tepid to compared to what it was half a century ago. So, yours is 300% higher than it was in the beginning in your life time. What does this look like in China? Just give us the comparison to US and China. How bad is it for them? China, you know, the US it’s 146% and China it’s over 200%. So, that causes lower growth, I can certainty see that, because all the consumers are stuck and the businesses are stuck servicing debt rather than growing, but you know, that debt payment goes somewhere. Isn’t it just cycling around the economy. I mean, the leader, you know, gets their payments if there’s no default and frankly they’re getting their payments in cheaper dollars even if there’s only moderate inflation, you know, you’re getting cheaper dollars back than you loaned out except for the interest rate. You just articulated the argument that a lot of mainstream economists would make about why private debt doesn’t matter and a lot of economists kind of don’t even include private debt in their model. You know, I agree with you. I don’t think many are talking about it. You’re one of the few. So, tell us about what’s going to happen to China. Well, I think the main thing that’s going to happen to China is already happening and that is you’re going to have an absolute collapse in commodity crisis. Let’s take iron and steel as an example. In 02 just as China was beginning this huge GDP growth, you know, iron and steel at that point in time till 08, excuse me, to 11, increased 12 fold in price. Since 11, it’s collapsed by over 50%. That’s the point where China, you know, it’s clear that China had built way too much and wasn’t going to be able to use all that they built. So, iron is down by over 50%. Steel is down by over 50%. We have similar declines in cooper, aluminum. China was one of the big net users of oil and a big part of the decline in oil that we’ve seen, not the biggest factor, but one of the two or three biggest factors is the declining use of oil in China and that over capacity, that over abundance, really is going to mean that there’s downward pressure on commodities for many years to come. It’s going to take a long time for the demand to catch up. What happened in China? I mean, how did..did they just, I kind of asked you this off the air before and I sort of know your answer, but I want to ask you for the listeners. Did they just overshoot the market? Did they think they were going to grow so much more than they really did and they thought they would need more housing and they thought they would need more roads and more train and more infrastructure and they just need it, so now that they’ve got all this steel sitting in the yard somewhere? Well, demand had been growing very fast up to 08 and so a lot of these plans were built on the belief that China was going to be like it had been for the previous several decades, but the other thing that’s going on in China is that the whole system is built to try to report high GDP numbers. If you’re a local official in a providence in China, you’ve been given marching orders by the guys at the top to grow GDP in your region so it rolls up to impressive high GDP numbers at the top. Well, you get a high GDP number by building something. If you build a 100 houses and don’t sell any of them, you still get almost full credit in GDP for those 100 houses you’ve built and that’s really what’s been going. Your bonus and your status in your party and all these other things boils down to how much GDP you’re milking out of your region. It’s reminiscent of, I mean, this may be of kind of an odd comparison, but it’s reminiscent of that government agency who, you know, has a certain budget that’s allotted to it every year and the whole goal of the agency is to spend all of the budget, because you know, if you don’t spend it all, they’ll reduce your budget next year. So, if you want to increase your budget, which increases your power, which increases your everything. You gotta spend irresponsibly. There’s nothing logical about this. Boy, that’s what happened. So, they’re just trying to report GDP numbers and they’re not doing anything that actually makes sense. So, what does this mean to the rest of the world has China experiences more and more slow down, more and more trouble. I mean, I think to China, it means, they’re deathly afraid, their leaders are definitely afraid of civil unrest because the population is just too big to control, frankly. There’s too much inkling of information from the outside that’s coming in and that’s a legit concern of the party, isn’t it? So, what’s going to have it? Are they going to have a meltdown? What’s it going to look like? You know, I think like I said earlier they own the banks, so classic definition of a financial crisis is you have the collapse of the banks and the government has to intervene to rescue. In China, the government owns the banks, so it’s going to preemptively intervene I suspect to prop up the banks. So, what it really means is just this dramatic deceleration and growth from what was 15% a few years ago and 7% now to something much closer to zero and that’s going to have profound implications for by worse, but the other thing that happens is the rest of the world feels this. Asia Pacific, you know, Australia, Korea, to a lesser extent Japan, certainty places like Singapore, Thailand, and others have been making a living over the last decade exporting to China and leveraging up at the high commodity prices that China’s growth resulted in. That’s all coming unraveled. So, I think there’s gonna – you’re already seeing bank like HSBC and Shanghai and others report really problem levels of earnings and loans. You’re seeing commodity producers in places like Australia report a problem earnings. You’re seeing that all up Asia Pacific. There’s going to be bank failures, there’s going to be reversals in a lot of things, but you’re also seeing that in Africa and South America. East Africa, places like Brazil and Peru and others really had made a living off massive exports to China at kind of high-prices that China’s growth has resulted in. So, you’re already reading it in the newspapers in all of those countries. You’re going to save trouble in Europe particularly among the luxury good producers. BMW, you know, most of their sales have been to China, Louboutin and the list goes on. The United States will feel it less in my view than just about anywhere in the world. there will be winners and loser in the US. If you’re a consumer and all of a sudden your gas bill is lower, that’s a good thing. If you’re a producer of steel or oil exploration company, you’re in trouble. Okay, the subtitle of your book, is How to Avoid It, okay, Why It’s Coming and How to Avoid It. We’ve gone into, you know, why it’s coming pretty well. A very thoughtful conversation on that. What should we do? What should people listening and by the way, we have listeners in a 164 countries, but it’s a largely a US or a North American audience, of course, but many listeners in Europe and Asia and so forth, you know, what should different people in different positions be doing to avoid this crisis? Well, you know, it’s interesting, because we’ve expanded our study back a couple of hundred years and a place like the United States had a crisis. We had a crisis in 1819, 1837, 1857, 1873, 1893, 1907, 1929. This is a reoccurring partner and it is, you know, our work is demonstrating in every single one of those cases, it’s run away private debt in the period preceding the crises, so the lesson is very simple and I think this message needs to go banks and to the regulators more than anyone else is when aggregate loans grow more than 5-10%, the GDP in a 2-3 year period. That’s when you need to be on the look out. That’s when you need to be as a regulator looking to moderate growth either by capital levels or job owning or any of the other things regulators are still capable of doing. Very interesting. Give out your website if you would. I know you have a few of them, whichever ones you like. Well, the website where all our data on this is, it’s called www.debt-economics.org. If you get on there we have, you know, a lot of excel spreadsheets for all of the major countries in the world where you can go in and take a look at this. If you’re a geek like me and you wanna to get into it. That geeky stuff is pretty interesting to a lot of our listeners. Before you go, can you elaborate a little bit on the stages of a crisis. You have a chapter with that title in your book and I just kind of like to maybe circle back and outline that again for the listeners, these different stages. How does it all develop and then fall apart and then of course it just happens again usually. And you have inflation. That’s a classic definition of inflation and that’s my argument why Fannie Mae and Freddie Mac should really go out of business. I mean, you have to hopefully do it slowly and peacefully so it wouldn’t create a huge disaster, but they should be unwound or they should de-leverage the housing market, because then, you know, I mean, the stated goal of Fannie Mae is to make housing affordable. They’ve done the complete opposite. They’ve made it less affordable. Over lending causes prices to go up and not just in houses, but in commodities and everything else as well. So, at that point in time, prices start going up, but since people don’t really understand this phenomenon, that makes lending increase all the more, because all of a sudden I’m more confident about lending, because price trends are so positive. I know I can make more aggressive loans because housing values are going up. Well, that’s circular logic, of course, but that doesn’t stop it from happening. So, lending starts exhilarating and feel even better. You know, the business community is euphoric, tax receipts and the government go up so the government feels great, the government feels like there’s an economic miracle. You feel like you’re going to take over the world. Remember, when this was happening in Japan in the 80s. We all thought Japan was going to take over the world and frankly a lot of the same stories have come out about China. We all know, China is going to take over the world. No, it’s just runaway private lending and it’s going to come back on itself. It’s going to reverse. So, at some point in time, somebody is going to realize the emperor has no clothes and things start to unravel. Very interesting. Fascinating stuff. Well, Richard, this has been a great discussion. Thank you so much for joining us today. Folks, that’s Richard Vague and really insightful. Thanks for joining us.